It’s that time of year again. Have you thought of what kind of look you want to take to a Halloween bash? Have no fear! 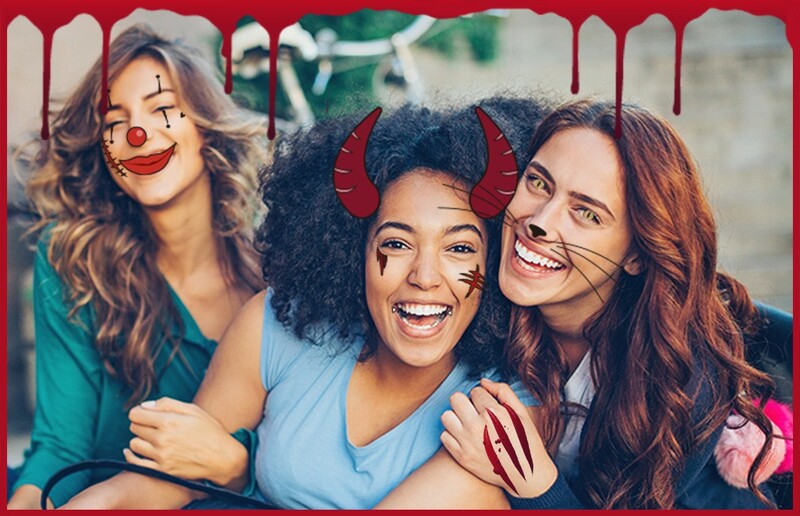 First, why don’t you try out Fotor’s brand new Halloween Face Morph feature and give your photos a spooky touch up right on your phone or computer! You only need two steps, then you can become Count Dracula, a zombie, or just give your picture some Halloween flare. Come and see for yourself! Step 1: Upload a picture of a forward-facing portrait to Fotor’s Edit Module and choose Effects-Halloween. Remember, upload a forward-facing portrait to allow Fotor’s magical functions accurately render your face and allow you to easily transform into the monster of your nightmares! Step 2: Choose an effect that you love, and ta-da! It’s… It’s alive! It’s alive!!! If there are multiple people, you can choose “Random”, and this way each person can be transformed differently than the rest. Wanna make your photo even more interesting? Darn straight you do! Click the drop down to then select from the many different kinds of Halloween stickers that we offer. You can easily give your photos even more interesting Halloween elements. Ok, now let’s save it and share it to your Facebook. Let’s frighten your friends with how good you look! Don’t forget that Fotor also offers everyone an abundant menagerie of Halloween themed design and collage templates! Check out our Halloween goodies to find more Halloween photo and design inspiration! Read our previous blog DIY Your Scary Good Halloween Invitations with Fotor to get more design inspiration.